Financial process automation can be a great advantage to companies that know how to use it effectively. Modern technology continues to reshape various companies and how they operate. Nowadays, companies leverage technological innovations not only to gain a competitive advantage on the market but also to improve their overall efficiency and performance. One of the technological trends companies oftentimes leverage to its fullest potential is automation. Automation, as its name suggests, is the process of automating various business tasks and operations, in order to streamline the efficiency of entire processes company-wide. However, automation doesn't only benefit companies because it can be implemented into processes, such as manufacturing, customer service and others. As a matter of fact, automation can greatly benefit companies in managing their finances. Financial process automation can be a great advantage to companies that know how to use it effectively. In most cases, companies rely on their CFOs (Chief Financial Officer) to conduct financial analysis and make more strategic decisions. But, even CFOs can have difficulties managing company finances on their own, especially if a company is a large enterprise sized corporation. That being said, here are a few benefits of financial process automation. Financial automation allows companies to improve the quality of financial information to be reliable, updated and accurate. In other words, automation allows companies to have a better insight into their financial health. 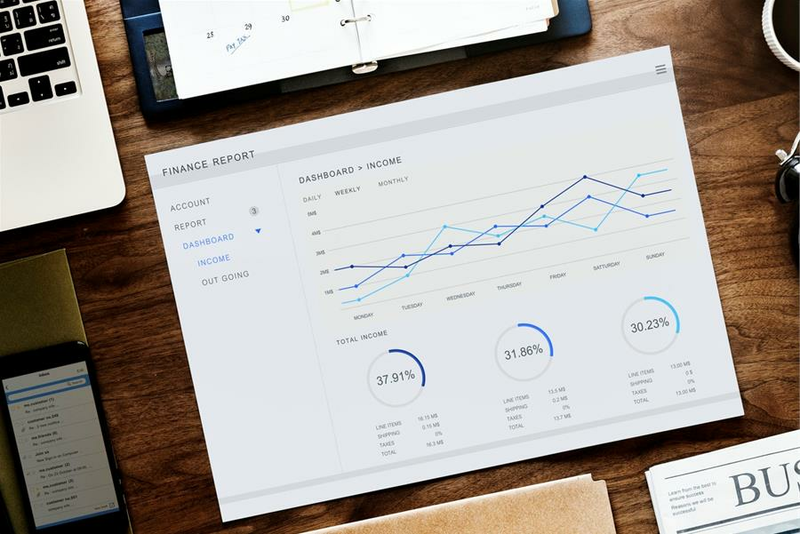 This improves the visibility of company-wide income, assets, liquidity, equity and expenses, such as accounts receivable, accounts payable, balance sheets and other relevant financial information. That being said, with financial process automation companies can better manage their cash flow and ensure that their cash reserves are utilized properly where they're most needed. Moreover, automation can be integrated into other processes and departments, in order to remove information from a silo. That way, CFOs and other financial experts can have insight into data regarding all areas where company finances are being utilized, such as supply chain, marketing, customer service, sales and so on. By sharing this information across the entire company, the financial department can come up with better and more strategic approaches concerning company finances. Collecting payments from customers and clients is the primary way that companies generate revenue. In most cases, companies go the extra mile to ensure convenience to consumers when it comes to payments. This oftentimes leads to missed or late payments by customers, which results in lost revenue and negative cash flow. What's more, it becomes increasingly difficult to manually trace each payment, especially if your company favors a particularly large customer base. Automation can once again lend a helping hand to companies through the automation of these payments. Payment automation enables companies to have more control as it reduces the costs, as well as the risk involved in human error or ineffective payment management workflows. Payment automation is oftentimes centralized through banks or other payment service providers making it an easy way to automatically collect recurring customer payments and recover lost revenue from outstanding and failed payments. Companies can set up flexible payment plans with multiple payment options including direct debit system and credit card solutions. That way, your company can ensure that late or missed payments won't actually hurt its bottom line. Financial mistakes are common in the business world. What's more, financial mistakes have the potential to ruin the entire company. Nowadays, companies both large and small oftentimes face challenges that are the direct result of a financial mistake. With financial process automation, the risks of making such a mistake can be greatly minimized and mitigated. For example, by having access to more detailed information from financial automation, financial executives can make more strategic decision when they have relevant data, such as interest rates, current inflation, fluctuations of currencies and so on, in order to assess both the risks, as well as new opportunities. What's more, financial automation can greatly reduce the risk of human error by automating essential tasks that previously required human interaction or manual processing. Companies can even save money by reducing the unproductive overhead costs and by improving the efficiency of the company-wide accounting processes. Nowadays, many companies manage their data in order to extract relevant and valuable information from it that will help them with future decision making. Data has become an integral part of many companies that help them maximize their profits and minimize their costs. That being said, financial process automation produces valuable data that can easily be turned into viable information. Companies that manage to fully integrate financial automation will be able to leverage information to identify new opportunities and develop new KPIs (Key Performance Indicators) for their future financial obligations. This information will improve the process of monitoring relevant metrics, such as customer satisfaction and even help companies realize how to treat their data as an essential part of their capital. After all, even though many companies don't fully comprehend this, there's no denying the fact that data is one of the most important assets a company possesses. Financial automation can also help companies expand to the global market more easily and efficiently by allowing faster and more reliable compliance with global rules, laws and regulations. In other words, companies will be able to easily integrate multi-currency and multi-language solutions when penetrating a new and a foreign market. Automation has already in many ways reshaped various industries. Companies have also experienced vast changes due to the numerous advantages and benefits automation can bring. Financial process automation is just one of the aspects that can enable companies better performance and improved efficiency on the market.